TEHRAN -- The Jiroft artifacts have been delivered to the Iranian embassy in London after Iran won its appeal in a London appellate court against the city’s Barakat Gallery. In 2005, 18 artifacts smuggled from the ancient site of Jiroft in southern Iran were to be sold at the Barakat Gallery, which specializes in antiques, and has offices in Mayfair, central London and Beverly Hills. Iran sued the gallery in an attempt to recover the 5000-year-old collection, which consists of two jars, five cups, six vases, a bowl, a vessel and three weights. In March 2007, London’s High Court had rejected Iran’s ownership of the artifacts, but Iran appealed the court’s decision in May. The London appellate court ruled in December that the gallery must return the artifacts. The gallery then lodged an appeal against the appellate court’s ruling. Iran has won this appeal in court, the Persian service of the IRNA reported on Thursday quoting the Iranian government website. However, there has been no report on the appeal court’s ruling in British media. In March 2005, Britain returned 118 ancient artifacts that had been looted from Jiroft. The items had been confiscated by customs officials at London’s Heathrow Airport in the summer of 2004. 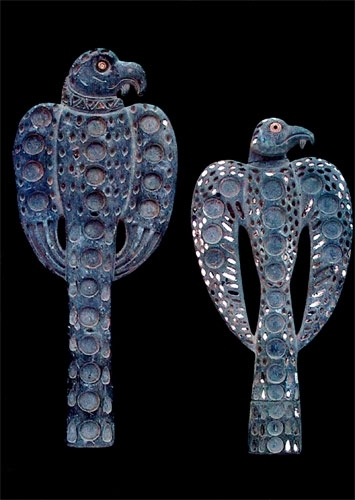 Jiroft came into the spotlight in 2002, when reports surfaced that local people had begun extensive illegal excavations and were plundering priceless relics. Five excavation seasons have been carried out at the Jiroft site under the supervision of Professor Yusef Majidzadeh, leading to the discovery of a ziggurat made of more than four million mud bricks dating back to circa 2200 BC. After numerous rare discoveries in the region, Majidzadeh declared Jiroft to be a cradle of art, and gave it the title of “the archaeologists’ lost paradise”. Αναρτήθηκε από mikres-ekdoseis στις 9:42 π.μ.